VALUE FOR MONEY STANCHION WITH UNIQUE FEATURES Eco Q Belt, fitted with a heavy base of over 17 lbs gives maximum protection to floors and provides stability. The base, that matches the pole’s finish, is also rust-resistant. The total weight of the stanchion is almost 21lbs and total height is 37″, taller than any equivalent product. Configuration possibilities due to built-in 4-way adaptor. 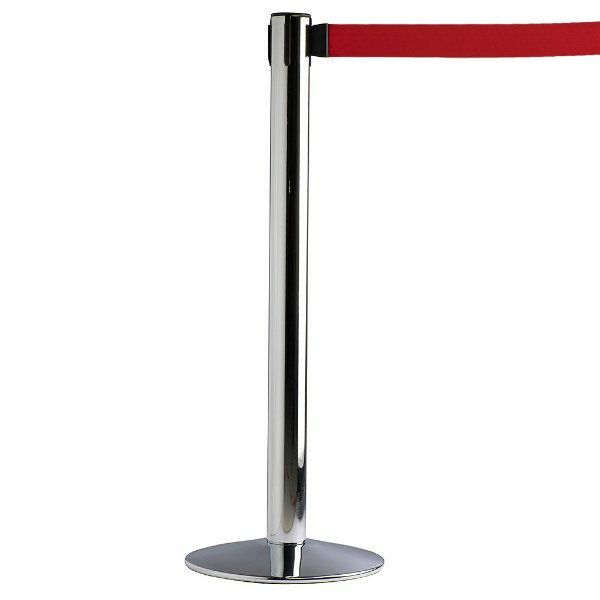 Simple, ergonomic design with chrome finish and red belt blends harmoniously with any environment. Fitted with the key safety feature with its built-in locking system. Easy assembly provides easy mobility and easy storage without any tools required. Constructed from durable, long-lasting aluminum. 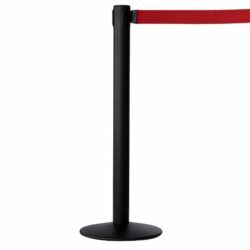 Stanchions help manage customer queues or prevent access to restricted areas. A fair yet effective crowd control system drives customer satisfaction and helps lower costs. We produce these post systems in house and provide you with huge savings. 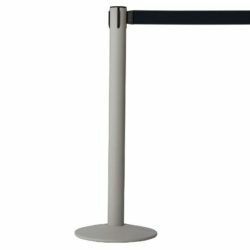 These economical retractable stanchions designed with unique features are suitable for banks, airports, high traffic stores, amusement parks, or events looking for low cost crowd control posts to maintain maximum passenger flow while keeping within their tight budget. 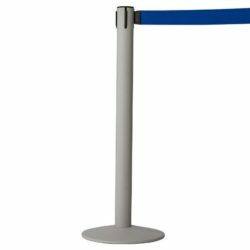 We provide a wide range of crowd control post with various finish options. Please browse all the items we offer, on our home page. We, Displaymarket, look forward to working with you for all your retail display and crowd control needs! It seems sturdy and i like the nice chrome finish. I ordered three sets for a 5 day trade show.